Reinvested distributions create new tax lots. 1. How do I Offset Mutual Fund Distributions? 2. What Is a Mutual Fund Cost Basis Statement? Most mutual funds allow you to reinvest distributions in additional shares automatically, using dividends to buy more shares. 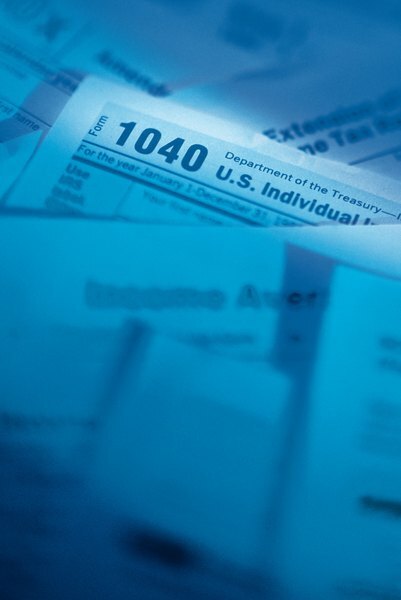 The Internal Revenue Service collects the same amount of tax whether you sink distributions back into a fund or pocket them, and the amount you're taxed depends on whether you realized short- or long-term capital gains. However, reinvested dividends affect the cost basis of your shares and therefore have an impact on your tax bill. Your mutual fund reinvestment can be taxed at ordinary income tax rates or long-term capital gains rate depending how long you had it before selling. The latter is taxed as a capital gain if you held onto the asset for a year or longer, while the former asset is held for less than a year. Mutual funds must distribute almost all of their income and capital gains to maintain their tax status – funds pay no tax, but pass the obligation through to investors. Funds earn income through interest and dividends and they also earn capital gains when they sell portfolio securities for a profit. When you reinvest distributions, you buy new shares at the closing price – called the net asset value – on the distribution date. Each time you buy shares, you create a new "tax lot" that records the price, date and number of shares. When you sell shares, you close tax lots by identifying the specific ones you want to sell or by using the "first-in, first-out" basis. Also, when you sell shares you bought through reinvestment, their short- or long-term status depends on the reinvestment date. Mutual funds allow you to make separate decisions on reinvesting income and capital gains. For example, you can instruct your fund to reinvest income but deposit capital gains into a money market account. Funds issue copies of Form 1099-DIV to you and the IRS shortly after the end of the year, detailing your interest and dividend income. The IRS taxes interest income at your regular income tax rate, except for any tax-free interest you earn from municipal bonds and bond funds. Most corporate dividends qualify for lower capital gains tax rates. There's no specific dividend reinvestment tax, but there's also no tax exemption for using dividends to buy more shares. Certain dividends, such as those paid by foreign stocks that are not readily traded in the U.S., are nonqualified. You treat these as ordinary income for tax purposes. Form 1099-DIV reports separate totals for taxable interest, tax-free interest, and qualified and nonqualified dividends. Reinvested income has a compounding effect because the additional shares earn extra interest or dividends. Form 1099-DIV also reports distributions of capital gains that the fund earns on portfolio sales. Treat all such gains as long-term, eligible for lower tax rates. You also create capital gains or losses when you sell fund shares. Your fund reports short-term and long-term gains and losses separately on Form 1099-B. Long-term gains arise from the profitable sale of shares you held more than a year. You earn a capital gain when sale proceeds exceed the cost basis of an investment. The IRS taxes short-term capital gains at your regular rate. You can also use capital losses against capital gains and up to $3,000 of ordinary income. You may carry these unused capital losses forward to future years. Report capital gains on Form 8949 and summarize the results on Schedule D of Form 1040. Starting in the 2018 tax year for taxes filed in 2019, the ordinary tax brackets and capital gains tax brackets no longer use the same figures, but the principles are similar. If you make $426,700 or more as a single filer, or $480,050 as a married couple filing jointly, you'll pay 20 percent on long-term capital gains. If you otherwise make more than $38,700 as a single filer, or more than $51,850 as a married couple filing jointly, you'll pay a 15 percent rate. Otherwise, your long-term capital gains are tax-free. However, for 2019, the long-term capital gains tax brackets remain the same 2018 rates of zero, 15 or 20 percent, but the income thresholds have changed. For the 2019 tax year (for taxes to be filed in 2020), capital gains income thresholds and tax brackets are now zero percent if your taxable income is $39,375 or less. You'll have to pay 15 percent on your long-term capital gains if your income fell between $39,376 to $434,550. Anything $434,551 and above will incur a 20 percent long-term capital gains tax. Bankrate: What Is the Capital Gains Tax Rate? Investopedia: Which Mutual Fund Option Is Better – Growth or Dividend Reinvestment? The New York Times: Should You Automatically Reinvest Dividends? Is the Principal Amount for a Mutual Fund Investment Taxed?